This thing is huge, keep that in mind if using for an mATX build. Seems to be cooling nicely though was only able to get a 45x ratio on i7-6700k instead of 46x. Easy install. Looks great. Seems to be doing the job. 4 stars as its too thick for mITX builds and fans are very loud, it does a great job at stock voltage and frequency but does not allow much overclocking if you have not much room for both fans and air flow. Cooling performance is very good, I think it mostly matches the bigger 240mm closed-loop coolers for a smaller footprint. 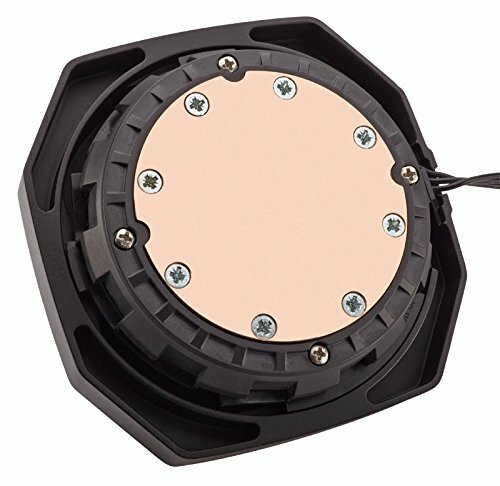 One of the fans was DOA, but Corsair kept up their end and shipped a replacement quickly. Decided to use just a pull configuration for space constraints, and even so it keeps cpu temps at ambient at idle and about 20 degrees higher under load. Great performance for a 120mm radiator. 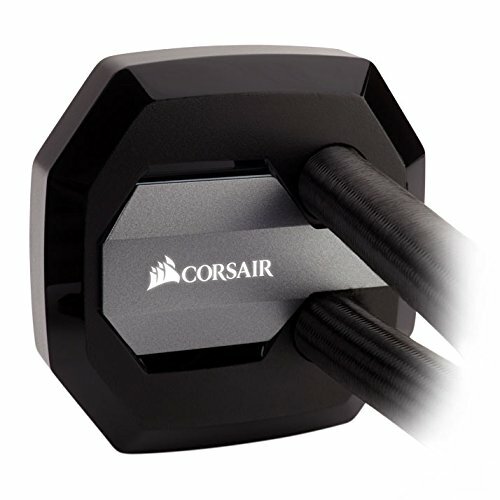 EDIT: After a week of usage, the cooler isn't detected in Corsair link sometimes. Every once in a while it doesn't show up at all and a restart won't fix either. This means I can't change LED color (stuck at white) or configure pump settings for some time which is pretty annoying. EDIT 2: Uninstalling and reinstalling the drivers fixed the Corsair Link issue but seems like a very poor solution... I'm hoping I won't have to do it again. 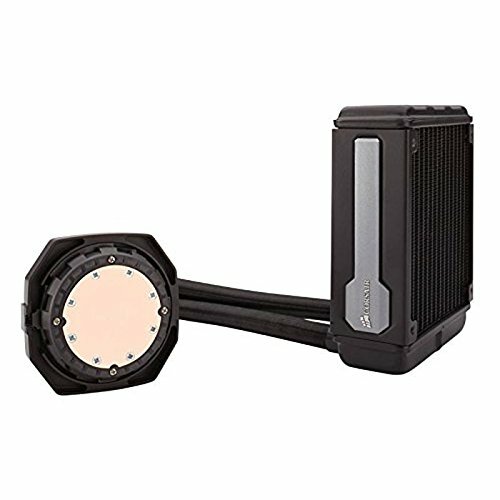 Fitted within a Cooler Master Elite 130 Mini-ITX case. Was very easy to attach securely to the CPU and Motherboard. The coolant lines are a little stiff, but had just enough play in them to route where I needed. Does a good job of keeping an overclocked i7-6700k cool. I have yet to see much worse than high 60s during heavy gaming with ambient around 25C. 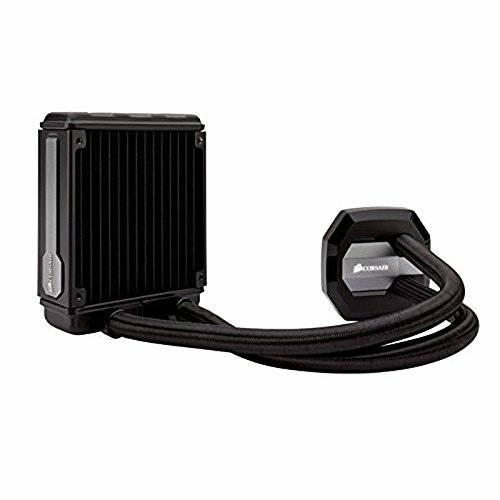 Great liquid cooler for the size, just make sure you have enough static air pressure on your fan to get air through it (my aftermarket one barely does).